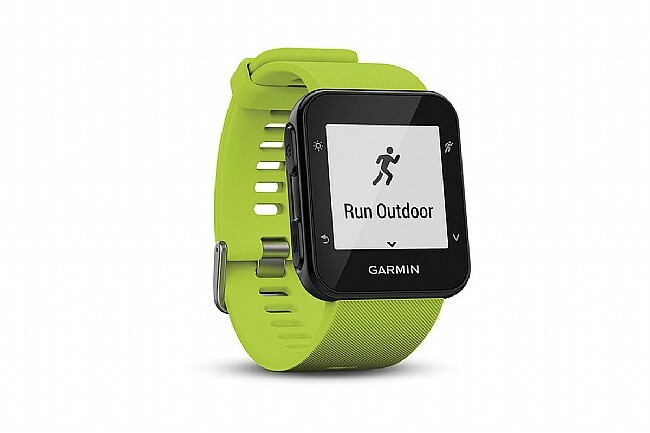 The Garmin Forerunner 35 GPS watch has a built-in an optical heart rate monitor so you're always ready to track the next activity. 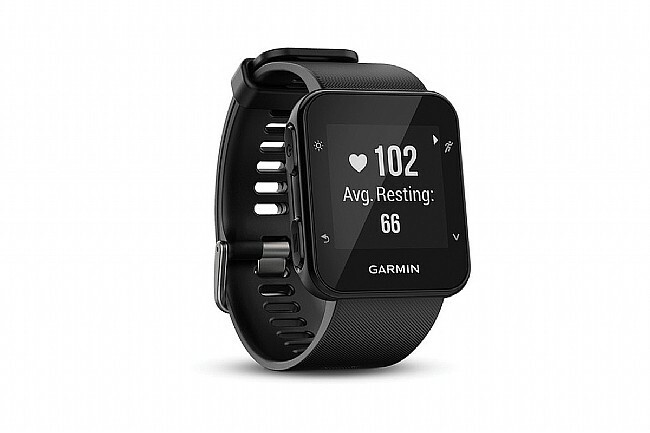 With the Elevate™ HR monitor in the wrist, you won't have to fetch a separate chest strap before you head out, and Bluetooth connectivity wirelessly syncs activity data with Garmin's free Connect smartphone app to further declutter your life. Multiple sport profiles include cycling, indoor / outdoor run, cardio, and walk mode, and 24/7 activity tracking keeps track of steps, calories burned, and more throughout the day. 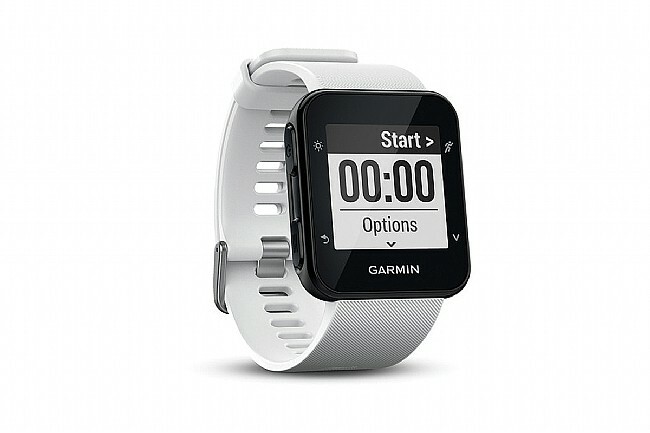 For more advanced training, an interval mode permits creating structured workouts, and two customizable display screens put the most critical metrics right where you want them. If you forget to record a ride or run, Garmin's Move IQ™ automatically detects change in movement and will upload the data to Garmin Connect so you'll never have a hole in your training regimen. Dimensions: 1.4" x 1.6" x 0.5"
Display size: 0.93" x 0.93"